Create an elegant dining set with our Moni Wicker Dining Chair in Stonewash. 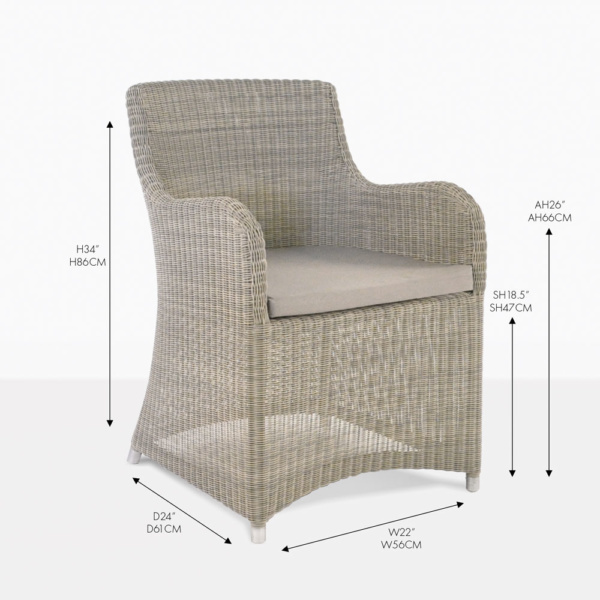 Made with a strong powder-coated aluminum frame, Viro outdoor wicker weave and topped with a Sunbrella cushion. 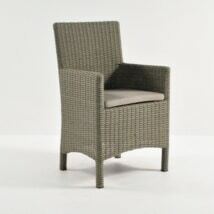 These materials are durable, weather resistant and easy to clean. This chair will go beautifully with many of our a-grade teak or our reclaimed teak dining tables. 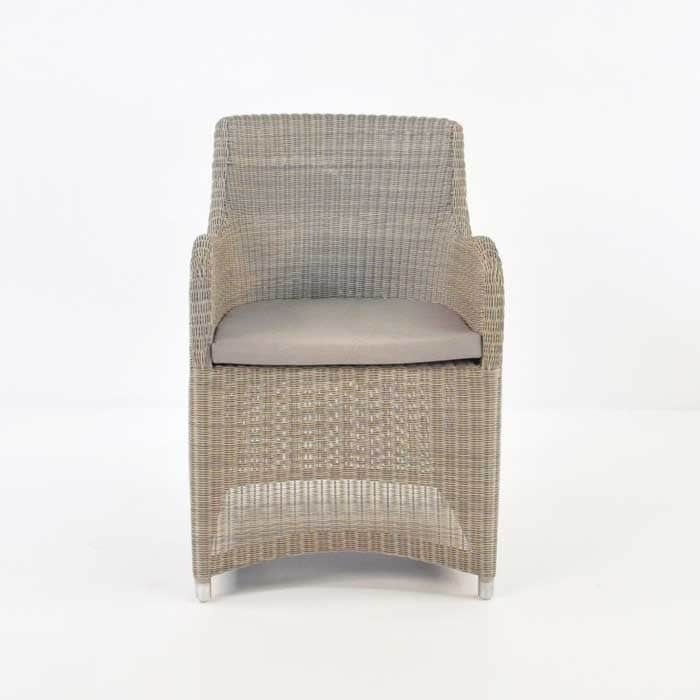 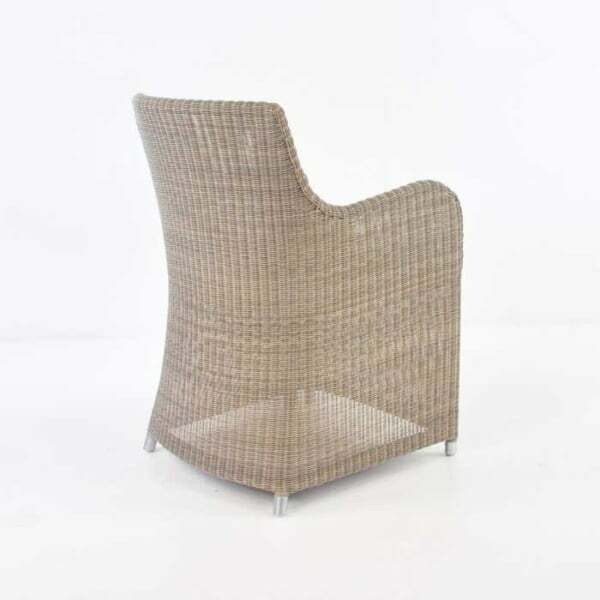 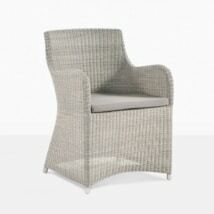 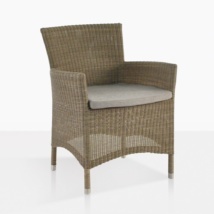 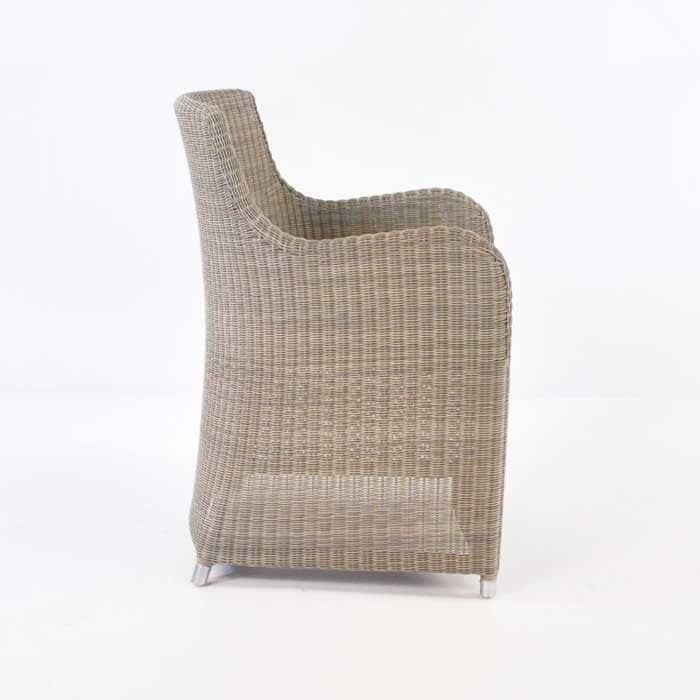 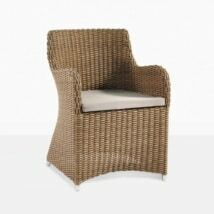 The soft color of the stonewash wicker looks stunning next to teak.